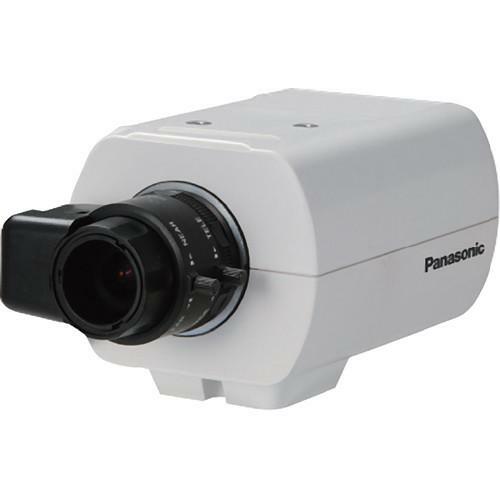 We recommend checking out our discussion threads on the Panasonic WV-CP300 Series 650 TVL Day/Night Fixed WV-CP310, which address similar problems with connecting and setting up Wired Analog & HD Cameras Panasonic. 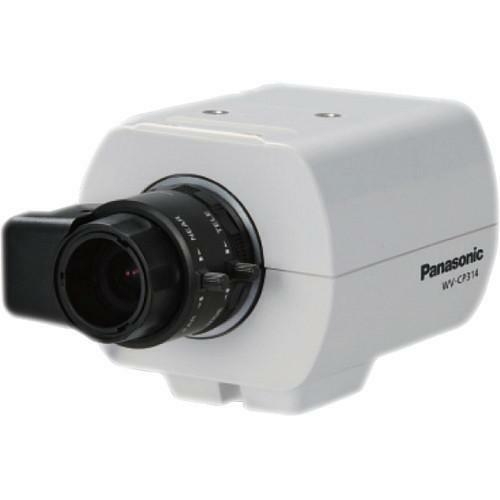 The user manual for the Panasonic WV-CP300 Series 650 TVL Day/Night Fixed WV-CP310 provides necessary instructions for the proper use of the product Surveillance - Surveillance Video - Wired Analog & HD Cameras. The PaV-CP300 Series 650 TVL Day/Night Fixed Indoor Camera is a compact unit packed with advanced features such as Adaptive Black Stretch technology, lens distortion compensation, and auto-image stabilization, and digital noise reduction, making it suitable for 24-7 surveillance. Equipped with a 1/3" interline transfer CCD image sensor, the camera captures clear and crisp images at 650 TVL. Designed for low-light surveillance, this camera features day & night switching and offers a sensitivity of 0.08 lux in color at F/1.4. With the camera's 16-axis matrix color compensation, you can be assured of excellent image reproduction with natural color balance. During night surveillance, the camera's Adaptive Black Stretch feature transforms dark areas of the video footage without degrading image quality. Furthermore, the camera delivers blur-free images thanks to the auto-image stabilizer that eliminates the effect of vibration caused by wind. The 2D/3D digital noise reduction technology can be switched on to record videos with minimal blur. 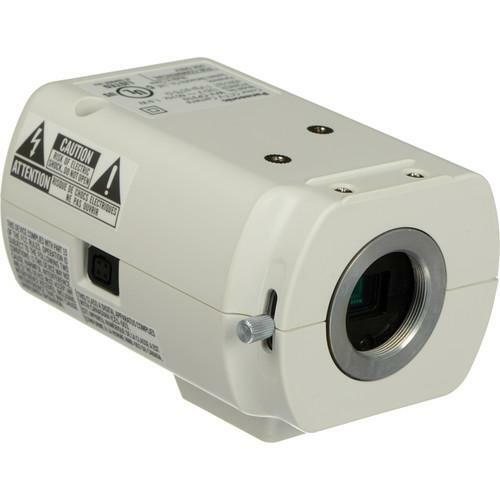 Power capability adds to your convenience by allowing you to use this camera at multiple sites, with an included power supply. If you own a Panasonic wired analog & hd cameras and have a user manual in electronic form, you can upload it to this website using the link on the right side of the screen. Box Dimensions (LxWxH) 7.3 x 6.6 x 4.0"
The user manual for the Panasonic WV-CP300 Series 650 TVL Day/Night Fixed WV-CP310 can be downloaded in .pdf format if it did not come with your new wired analog & hd cameras, although the seller is required to supply one. It is also quite common that customers throw out the user manual with the box, or put the CD away somewhere and then can’t find it. That’s why we and other Panasonic users keep a unique electronic library for Panasonic wired analog & hd camerass, where you can use our link to download the user manual for the Panasonic WV-CP300 Series 650 TVL Day/Night Fixed WV-CP310. The user manual lists all of the functions of the Panasonic WV-CP300 Series 650 TVL Day/Night Fixed WV-CP310, all the basic and advanced features and tells you how to use the wired analog & hd cameras. The manual also provides troubleshooting for common problems. Even greater detail is provided by the service manual, which is not typically shipped with the product, but which can often be downloaded from Panasonic service. If you want to help expand our database, you can upload a link to this website to download a user manual or service manual, ideally in .pdf format. These pages are created by you – users of the Panasonic WV-CP300 Series 650 TVL Day/Night Fixed WV-CP310. User manuals are also available on the Panasonic website under Surveillance - Surveillance Video - Wired Analog & HD Cameras.